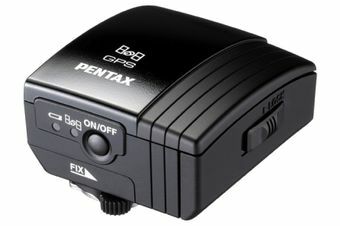 Remember every step of the way with the PENTAX GPS Unit O-GPS1 for PENTAX DSLR cameras. This unit is compatible with the K-5, K-r and 645D. Geotag your images for location information on popular photo sharing websites. A separate, but efficient power source will not drain your camera’s battery. Electronic Compass function assists while hiking or camping. Chart the progress of a hike, bike, or boating trip with interval position tracking. Supports terrestrial-based WAAS for highly accurate positioning.